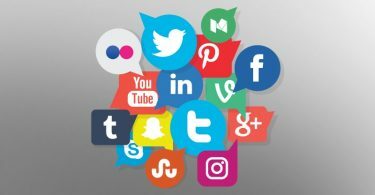 Being a digital marketing professional, I keep on trying different tools for my campaigns and select the best. Recently, I came across a tool called Binom which I used for the tracking purpose and the result was amazing. So, I thought of making a review of Binom based on my personal experience. 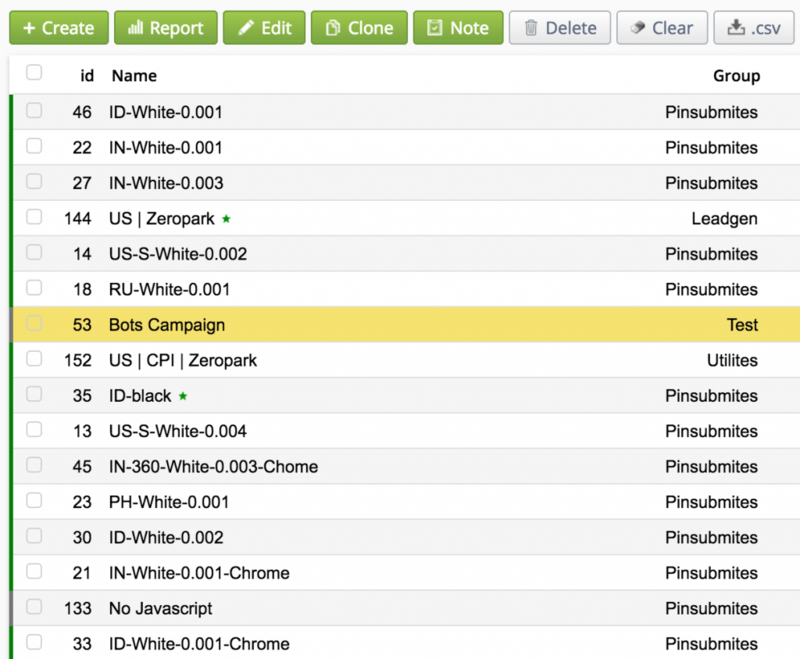 I initially started using Binom for the clicks and campaign tracking and then explored the other features of this tool. In this post, I am going to talk about Binom review, working of Binom, and of course how this software will be helpful to you. Binom is a self-hosted tracking platform and is a leader in click processing and report building which results in optimum business decisions. It helps you save your time and other resources with various aspect of marketing. It is effective tracking software that may be indispensable when it comes to eliminating the tracking errors and miscalculations. As it helps you do away with such errors and thus increase the ROI of your campaigns. You’ll clearly see the difference before and after using Binom. And so, whether you’re an affiliate marketer or media buyer, Binom is designed for you. It assists you with managing different paths of performance marketing like clicks, entire campaigns, costs, sales, and detailed reports. Binom helps you become more profitable in comparison with the existing campaigns by increasing the frequency capitalization. The tool provides a seamless user experience via its flexible interface and work optimization. And then the advanced reporting feature helps you propel your business to the next level by its deep analytics. There are many features of Binom which helps online marketers in various ways. Let’s start and see some of the major benefits of Binom which will help you in your day-to-day activities. Speed should be the major KPI for any marketing tool and Binom has taken it very seriously. The tool was designed to give you near real-time experience. A little delay in tracking can leave you with a huge loss and so real-time tracking is quite important.Binom click processing just takes 5 ms to process the click. Also, the best thing is, the speed doesn’t depend on the amount of traffic and the amount of clicks. Binom also ensures that none of the clicks is missed and so you can be sure about the performance tracking. The company also use transactional uses for click storage which ensures reliable storage. 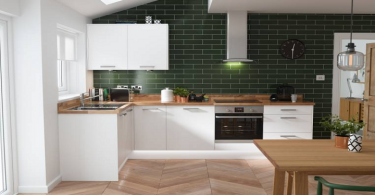 This eliminates the risk of a potential reboot. Work organization helps you not to get lost or confused with your campaigns. The notes feature helps and reminds you of all the important things. Also, the different roles here help you with the user level permission which, in turn, will helps you manage an entire team on the single platform with different access levels and permissions. You can also create a new rule for your traffic and click categorization. 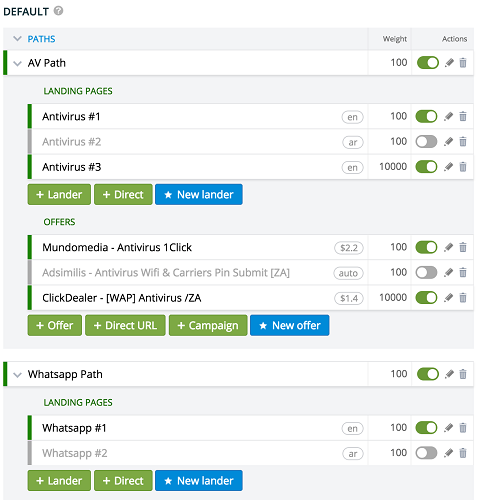 You can also create multiple custom rules like if you have multiple offers and landing pages. Deep analytics is another amazing feature of Binom. In fact, when it comes to the reporting of marketing tools, Binom is certainly one of the leaders of the segment. The report generation is quick and relevant which helps you make quick and fruitful decisions. You’ll find multiple filters available for you to select. These filters are nothing but the different campaign parameters and KPI which you can select and analyze the result. • Multilevel reporting- You can get your insights in a multi-level fashion: like have the clicks have not converted well? Why so? how you can correct it? What are the differences? And so on. This will help you get a better understanding of the root cause. • Campaign Stat- You can group level reports as well. Usually, we run several ads under an ad group and so you can analyze the ad group level reports as well. • Row Targeting- You can also block some of the publishers which you think not good for the campaigns. And several other features can be emulated. Another USP of Binom is it’s tracking interface and performance. There are multiple useful features here which help you manage the traffic and clicks in a better way for the profit. There are several parameters defined here which makes the work even more helpful. Apart from all these Binom also offers a platform for the developers and for integrations. You can integrate the Binom dashboard using the API on the supported platform. This will allow you access like campaign stats, offers, etc. 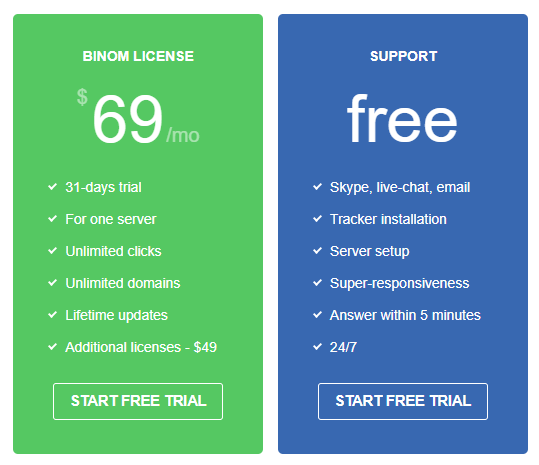 You can try Binom free for 30 days. The best thing is the trial period have all the premium features which you can try and evaluate whether the tool is helpful to you or not. Once you’re satisfied, you can go for the license which just cost $69 per month where it will be billed annually. If you’re looking to get billed monthly, it will cost $99 per month. So, you’re saving 30% when you buy for a year. Another best thing I found with Binom pricing is, the price doesn’t depend on traffic and clicks. So, you can scale your campaign to any level without thinking about the pricing. Support is one of the top factors for anyone who looks to buy the product or take services. Binom has been successful here as well. They have a great documentation section which almost answers all the top-level query. Further, you may chat with their support team or send them an email or even query on Telegram and Skype. So, in terms of support, I found Binom one of the most reliable product and company. Well, we have discussed a lot about Binom in this Binom review and am sure you got some amazing solution to your query. What I would advise you is just try the product which is free for 31 days evaluate how this tool can help you make your online marketing simpler and profitable. I would also recommend you check the below comparison and decide why you should use the only Binom when it comes to tracking and reporting of your campaigns. 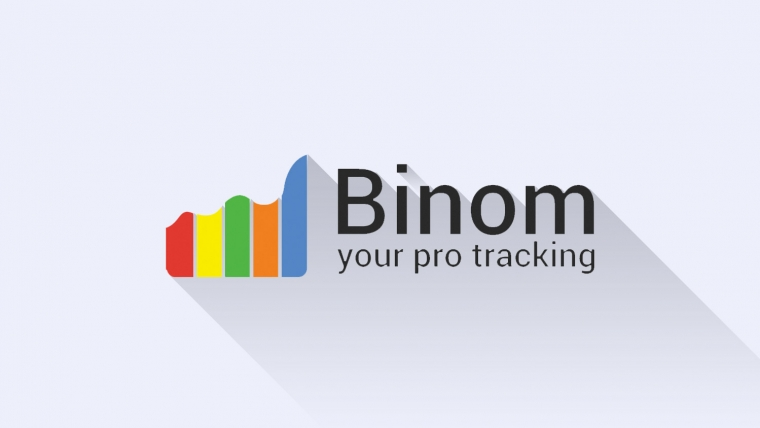 Binom is a monitoring tools for internet marketing professionals and organizations. 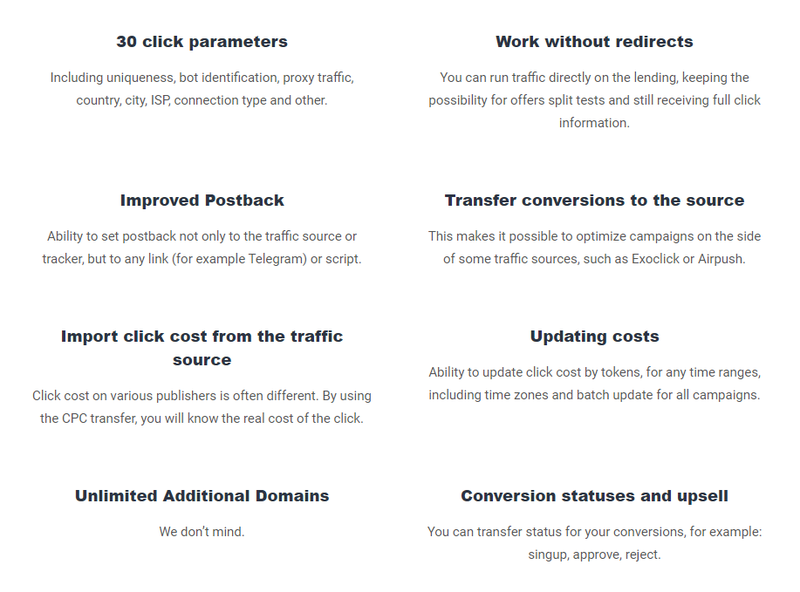 The tool help you manage the traffic and clicks in a better way for the great result.